WTF Are You Reading? : The Magic Meets The Modern In "All That Glows"
The Magic Meets The Modern In "All That Glows"
Emrys—a fiery, red-headed Fae—always embraced her life in the Highlands, far from the city’s draining technology, until she’s sent to London to rejoin the Faery Guard. But this isn’t any normal assignment—she’s sent to guard Prince Richard: Britain’s notorious, partying bad boy and soon-to-be King. The prince’s careless ways and royal blood make him the irresistible for the dark spirits that feed on mortals. Sweet, disheveled, and alive with adventure—Richard is one charge who will put Emrys’s magic and heart to the test. "Good faerys are not supposed to fall for bad boys." At least's what Emrys used to tell herself until she was summoned to London, and posted personal guard to Prince Richard. Try as she might, our young fae maiden can't resist charms of her dashing charge. It also seems that Prince Richard's royal blood and in the magic it contains, has the unfortunate drawback of attracting every magical baddie within stone throwing range. What's a Fae Guard to do when faced with forbidden love, intrigue, impossibly powerful evil, hidden plots, and murder. Kill the Green Wemon, Banshees, and Black Dogs before they kill her. Find and destroy the ancient evil threatening to destroy the world as we know it. Try not to get too sick from the poisonous effects of technology and iron. 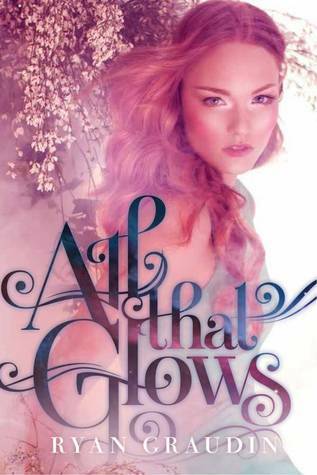 With one foot rooted securely in the rich tradition of Fae lore, and the other resting securely atop the modern streets of today's London; Ryan Graudin's All That Glows, is a story that stands above the rest in the world of YA Fantasy. With a level headed, yet likeable heroine who is unafraid to bend or even break the rules to get the job done, a strong male lead, a host of well crafted support characters and a superb plot, this book is a masterpiece. That said. The biggest plus if this read has to be the fact that it allows the aspects of what readers have come to know as "the classic fairytale" to be expressed in the context of today's society; without diminishing the value or integrity of either side. Fae are allowed to be fae. They are allowed to have the need for green space though they work in the city. They are to try to remain unseen. Their magic is their own, and is to be preserved even in the face of all the technology which surrounds them. The prince is allowed to be a prince of 2000; complete with cell phones and "stalkerazzi". Queen Maab is simply allowed to be fabulous! 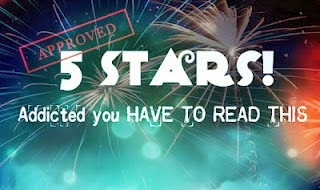 This standalone flight into the fantastic, is a book for all the people who love to dance in the rain, play pirates with plastic swords, and know that glitter is the code name "for faery dust"
"And the read happily ever after."